Optical coherence tomography angiography (OCTA) is a new revolutionary non-invasive imaging modality, built on the platform of optical coherence tomography (OCT). This technique works on the principle of ‘decorrelation’ and is still a nascent technology in its infancy with tremendous potential applicability for diagnosing retinal and choroidal vascular diseases. Its non-invasive nature, and the ability to generate images of retinal and choroidal vasculature, allows it to replace and/or supplement the current angiographic gold standards, fluorescein angiography (FA) and indocyanine green angiography (ICGA), if not in all but certainly in most retinal and choroidal pathologies. 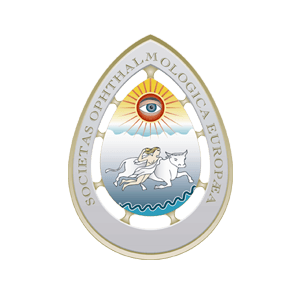 Still, there exists a major challenge in terms of its wide scale availability, equipment and processing techniques, presence of artifacts, limitations of imaging capability, and lack of common vocabulary among retinal specialists for interpretation. In this review we intend to describe this novel technique by highlighting its key features, and comparing it with FA and ICGA. We will also discuss its applicability in various clinical scenarios such as diabetic retinopathy, age-related macular degeneration, retinal venous occlusion, choroiditis, and in routine practice. Further studies are needed to more definitively determine OCTA’s utility in the clinical setting and to establish if this technology may offer a non-invasive option of visualizing the retinal vasculature in detail. Dr Manish Nagpal is a consultant for Nidek Co., Ltd. Dr Rakesh Juneja has nothing to declare in relation to this article. No funding was received for the publication of this paper. The arrival of OCTA in the ophthalmic world occurred around a decade ago. In order to detect and measure blood flow, previously studies used Doppler techniques, which compared the phase of successive OCT A-scans.9,10 Zhao et al., in their study published around 15 years ago, reported that blood vessels could be visualized using Doppler OCT with time-domain OCT by extracting and comparing the A-scan phase changes, which are related to the Doppler frequency shift.11 This method was known as ‘optical Doppler tomography’ and was demonstrated for dermatological imaging of blood vessels in the skin. As time passed by, and with further advancements in ophthalmic biomedical engineering and development of spectral domain OCT (SD-OCT), the phase of the A-scans became directly accessible and imaging speeds increased. It was not until 2005 that Zhang and Chen demonstrated that blood flow could be visualized using swept source OCT (SS-OCT) by measuring the variance of the Doppler signal and intensity variation without phase.12 These advancements led to OCTA, which is currently marketed globally. FA and ICGA have other drawbacks that can limit their widespread use. Since they are invasive, relatively expensive, and time-consuming, they are not ideal techniques to use on a regular basis in a busy clinical setting. Although considered safe, the dyes pose risks ranging from nausea to allergic reactions, including anaphylaxis in rare instances. Aside from allergic reactions, of which the likelihood increases with frequency of use, indocyanine green dye is contraindicated in pregnancy and kidney disease.3,5 For the evaluation of patients requiring frequent follow-up exams or those that may not tolerate injection of intravenous dye, a rapid non-invasive technique to visualize retinal and choroidal vessels would be beneficial. OCTA, in comparison, is a non-invasive technique that acquires volumetric angiographic information without the use of dye. The time taken to obtain each three-dimensional scan is much less than that of FA. The en face images (OCT angiograms) can then be scrolled outward from the internal limiting membrane to the choroid to visualize the individual vascular plexus and segment the inner retina, outer retina, choriocapillaris, or other area of interest. The en face acquisition areas range somewhere between 2 × 2 mm to 12 × 12 mm (in general for most of the OCTA machines), with the scan quality greatly decreased with a widened field of view since the same number of OCT B-scans is used for all scanning areas. 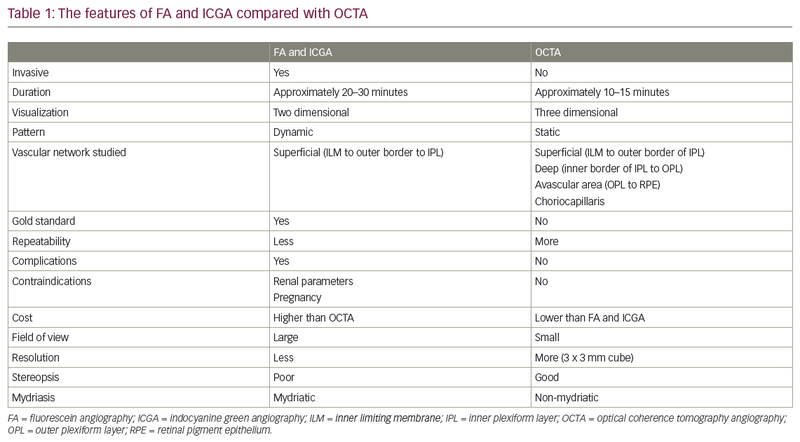 The comparison between invasive FA and ICGA with non-invasive OCTA is summarized in Table 1. SD-OCT uses a spectrometer and a line scan camera to capture images. The limited spectrometer resolution causes detection sensitivity to vary for OCT signals at different axial ranges, a phenomenon known as sensitivity roll off.4 The various commercial OCT instruments typically operate at 70,000 axial scans per second. SS-OCT uses a frequency swept laser and a high-speed detector, without requiring a spectrometer. The sensitivity roll off is much less in SS-OCT compared with SD-OCT because frequency swept lasers can have narrow frequency line-widths. Although the detection system for SS-OCT is less expensive than the spectrometer and line scan camera used for SD-OCT, laser light sources used in SS-OCT are currently expensive, making SS-OCT more costly. Historically, OCT imaging was performed at 840 nm because super-luminescent diode light sources used for laser gyroscopes were at these wavelengths. Longer wavelength light at 1,050 nm has been shown to reduce the attenuation from ocular opacities and improved penetration into the choroid.17 It was demonstrated that 1,050 nm wavelengths can have superior image penetration and less attenuation than 840 nm wavelength.4 However, since SS-OCT is yet to be widely available commercially, the SD-OCT continues to be the most commonly available and widely used tool. The software incorporated in various OCTA prototypes, devised by various companies, provides certain options to visualize various vasculature levels in different cube sizes. These include cube sizes ranging from 3 x 3 mm to 12 x 12 mm OCT angiograms (Figure 1). Diabetic retinopathy (DR) is one of the leading causes of blindness in the world, and cases increase as the years pass by due to the poor eating habits and lifestyle of the population.25,26 OCTA is a promising non-invasive modality to identify features ranging from mildnon-proliferative DR to a fully established proliferative DR.25 Only in the presence of vitreous-hemorrhage can scans not be obtained as signals cannot approach the underlying retinal surface. Various features of DR have been studied including micro aneurysms,26,27 retinal capillary perfusion density,27,28 hard exudates,27,28 FAZ measurement,27,28 capillary tortuosity and dilation,28,29 early neovascularization elsewhere, and neovascularization at disc.26–29 OCTA also has the ability to show the architecture of neovasculature underlying the leakage demonstrated on FA in a case of proliferative DR (Figure 2). 5) presence of a perilesional hypo intense halo considered as regions of choriocapillaris alteration, either corresponding to flow impairment steal or localized atrophy (Figure 3). Retinal vein occlusions (RVOs) can lead to significant vision impairment. The major pathogenic effect is caused by macular edema and capillary non-perfusion. Thrombosis of the retinal vein, leading to variably impaired capillary perfusion and retinal ischemia is widely regarded as the underlying mechanism involved.45 OCT and FA play a major role in delineating these and also their extent and chronicity. Various studies have reported OCTA findings in eyes with RVO.46–9 They showed that OCTA findings were consistent with clinical, anatomical, and FA findings including areas of impaired vascular perfusion, retinal atrophy, vascular dilation, shunt vessels, and some forms of intraretinal edema. FA only provides information about superficial capillary plexus, yet it has been documented with OCTA that the deeper capillary plexus is the predominant layer affected and is a clearer indicator of RVO pathogenesis as compared to superficial capillary plexus. OCTA is a nascent technology and is still in its infancy. There are several indications in which OCTA is better than, or equivalent to, accepted approaches, and many instances where it shows us findings that were unexpected. None of the older imaging modalities can be replaced by OCTA at present. This raises questions about the need for OCTA. Despite the potential benefits of OCTA, our expectations of technology must be tempered, given our limited experience. 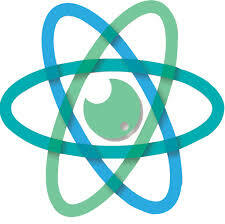 There is a need to check for its validity and ability in terms of reproducibility of the data. This will require large multi‐centric, multi‐ethnic studies comparing this modality with FA, in order to better understand the significance. A major challenge is to develop automated, repeatable segmentation algorithms that reliably identify specific retinal vascular layers, even in diseased and poorly fixating eyes. OCTA is more prone to artifacts than FA. The larger superficial retinal vessels cause a ‘ghost image’ producing shadow artifacts when segmenting deeper layers, especially in the outer retina. This can make it more difficult to appreciate the presence of abnormal vasculature in deeper layers. Various artifacts in the form of dark lines and/or white lines may appear due to poor signal or obstruction of signal. Some non‐vascular structures, such as fine tissue, may also cause a decorrelation signal, especially if the patient is moving or poorly fixating. Finally, sub-optimal blood-flow through the lesions at the time of scan and poor correction for eye motion artifacts also account for artifacts, or poor scan. More importantly there is also a lack of common vocabulary among clinicians with regards to interpretation of OCTA images. Finally, it remains unknown how the additional information gained from this technique can be used in routine clinical practice. However, it seems like OCTA is a truly disruptive technology. It is exciting and will probably change the approach of our practice of retinal diseases. The need for non-invasive imaging modalities, along with developments in the field of biomedical engineering, led to the emergence of OCTA. The basic underlying principle is decorrelation, and it has several advantages over conventional invasive techniques such as FA and ICGA. Despite its unique features, its potential applicability is under observation and the development of this technology is continuously evolving. At the moment, it is certainly a potential supplementary tool to FA and ICGA, and an alternative, at times, for some pathologies; however, it needs to develop more with time and many long-term longitudinal studies are required to confirm its validity. Also, there is a lack of worldwide common vocabulary to understand the features among examiners and interpreters, but we are certainly looking at a very exciting new tool that has the potential to replace invasive tools with time and further development. OCTA is a powerful tool and has enormous implications for understanding vascular perfusion, even in the absence of morphological changes. A flow index of the retina and optic nerve head can be used to ascertain perfusion compromise even before the presence of clinically visible signs. The novel, much improved eye tracking mechanism will pave a long way forward in achieving high-quality artifact-free scan images. A follow-up function has been provided that automatically selects the same layer that was designated during previous scans in order to allow a comparison at the very particular plane of retinal surface. This follow-up function will improve inter-observer and inter-session accuracy of tests. The further improvement in scanning speed protocols will allow the examiner to take a faster scan with similar accuracy. Use of swept-source technology on a large-scale basis will help analyze the deeper structures and will provide answers to many pathophysiological conditions in a non-invasive manner. In nut shell, the upcoming improvements in biomedical engineering will certainly allow us to go wider, deeper, faster, and to answer the unanswered. Grover S, Murthy RK, Brar VS, Chalam KV. Normative data for macular thickness by high‐definition spectral‐domain optical coherence tomography (spectralis). Am J Ophthalmol. 2009;148:266–71. Spaide RF, Klancnik JM Jr., Cooney MJ. Retinal vascular layers imaged by fluorescein angiography and optical coherence tomography angiography. JAMA Ophthalmol. 2015;133:45–50. Nagpal M, Juneja R. Panoramic Imaging With OCTA, 2017. Available at: http://retinatoday.com/2017/04/panoramic-imaging-with-octa/ (accessed June 11, 2016). Spaide RF, Fujimoto JG, Waheed NK, et al. Optical coherence tomography angiography. Prog Retin Eye Res. 2017;64:1–55. de Carlo TE, Romano A, Waheed NK, Duker JS. A review ofoptical coherence tomography angiography (OCTA).Int J Retina Vitreous. 2015;1:5. Zhang Q, Wang RK, Chen CL, et al. Swept source optical coherence tomography angiography of neovascular macular telangiectasia type 2. Retina. 2015;35:2285–99. Roisman L, Zhang Q, Wang RK, et al. Optical coherence tomography angiography of asymptomatic neovascularization in intermediate age-related macular degeneration. Ophthalmology. 2016;123:1309–19. Lumbroso B, Huang D, Fujimoto JG, et al. Clinical guide to angio-OCT: non invasive, dyeless OCT angiography. London: Jaypee Brothers Medical Publishers; 2015. Chen Z, Milner TE, Srinivas S, et al. Noninvasive imaging of in vivo blood flow velocity using optical Doppler tomography. Opt Lett. 1997;22:1119–21. Izatt JA, Kulkami MD, Yazdanfar S, et al. In vivo bidirectional color Doppler flow imaging of picoliter blood volumes using optical coherence tomography. Opt Lett. 1997;22:1439–41. Zhao Y, Chen Z, Saxer C, et al. 2000. Phase-resolved optical coherence tomography and optical Doppler tomography for imaging blood flow in human skin with fast scanning speed and high velocity sensitivity. Opt Lett. 2005;25:114–6. Zhang J, Chen ZP. In vivo blood flow imaging by a swept laser source based Fourier domain optical Doppler tomography.Opt Express. 2005;13:7449–57. Novotny HR, Alvis DL. A method of photographing fluorescence in circulating blood in the human retina. Circulation. 1961;24:82–6. Novotny HR, Alvis D. A method of photographing fluorescence in circulating blood of the human eye. Tech Doc Rep SAMTDR USAF Sch Aerosp Med. 1960;60–82:1–4. Moult EM, Waheed NK, Novais EA, et al. Swept-source optical coherence tomography angiography reveals choriocapillaris alterations in eyes with nascent geographic atrophy and drusen-associated geographic atrophy. Retina. 2016;36(Suppl 1):S2–S11. Povazay B, Hermann B, Unterhuber A, et al. Three-dimensional optical coherence tomography at 1050 nm versus 800 nm in retinal pathologies: enhanced performance and choroidal penetration in cataract patients. J Biomed Opt. 2007;12:041211. Bresnick GH, Condit R, Syrjala S, et al. Abnormalities of the foveal avascular zone in diabetic retinopathy. Arch Ophthalmol. 1984;102:1286–93. Wu LZ, Huang ZS, Wu DZ, Chan E. Characteristics of the capillary‐free zone in the normal human macula. Jpn J Ophthalmol. 1985;29:406–11. Arend O, Wolf S, Jung F, et al. Retinal microcirculation in patients with diabetes mellitus: Dynamic and morphological analysis of perifoveal capillary network. Br J Ophthalmol. 1991;75:514–18. John D, Kuriakose T, Devasahayam S, Braganza A. Dimensions of the foveal avascular zone using the Heidelberg retinal angiogram‐2 in normal eyes. Indian J Ophthalmol. 2011;59:9–11. Snodderly DM, Weinhaus RS, Choi JC. Neural‐vascular relationships in central retina of macaque monkeys (Macaca fascicularis). J Neurosci. 1992;12:1169–93. Samara WA, Say EA, Khoo CT, et al. Correlation of foveal avascular zone size with foveal morphology in normal eyes using optical coherence tomography angiography. Retina. 2015;35:2188–95. Savastano MC, Lumbroso B, Rispoli M. In vivo characterization of retinal vascularization morphology using optical coherence tomography angiography. Retina. 2015;35:2196–203. Hwang TS, Jia Y, Gao SS, et al. Optical coherence tomography angiography features of diabetic retinopathy. Retina. 2015;35:2371–6. Ishibazawa A, Nagaoka T, Takahashi A, et al. Optical coherence tomography angiography in diabetic retinopathy: A prospective pilot study. Am J Ophthalmol. 2015;160:35–44. Agemy SA, Scripsema NK, Shah CM, et al. Retinal vascular perfusion density mapping using optical coherence tomography angiography in normals and diabetic retinopathy patients. Retina. 2015;35:2353–63. de Carlo TE, Chin AT, Bonini Filho MA, et al. Detection of microvascular changes in eyes of patients with diabetes but not clinical diabetic retinopathy using optical coherence tomography angiography. Retina. 2015;35:2364–70. Takase N, Nozaki M, Kato A, et al. Enlargement of foveal avascular zone in diabetic eyes evaluated by en face optical coherence tomography angiography. Retina. 2015;35:2377–83. Eye Diseases Prevalence Research Group. Causes and prevalence of visual impairment among adults in the United States. Arch Ophthalmol. 2004;122:477–85. 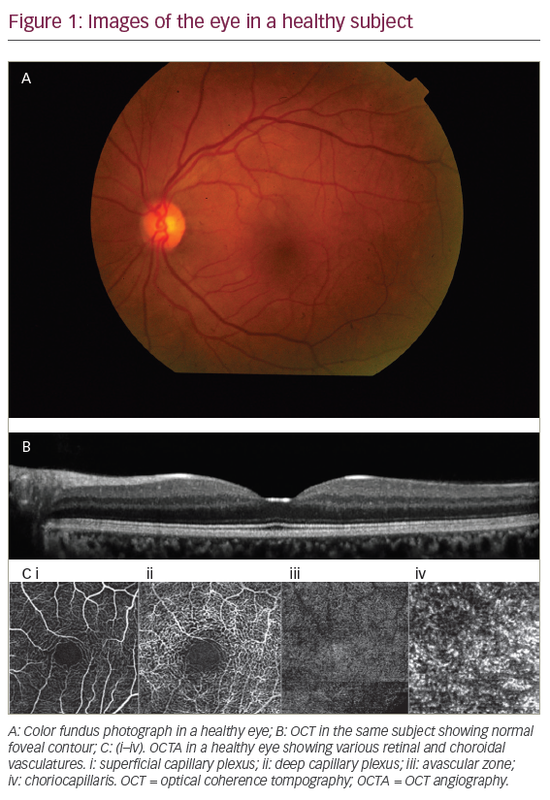 Ferris FL III, Fine SL, Hyman L. Age-related macular degeneration and blindness due to neovascular maculopathy. Arch Ophthalmol. 1984;102:1640–2. Ambati J, Ambati BK, Yoo SH, et al. 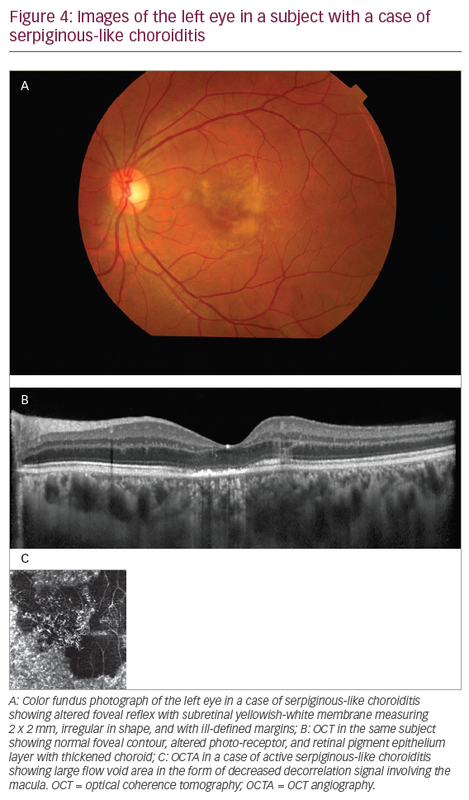 Age-related macular degeneration: etiology, pathogenesis, and therapeutic strategies. Surv Ophthalmol. 2003;48:257–93. Kuehlewein L, Bansal M, Lenis TL, et al. Opticalcoherence tomography angiography of type 1neovascularization in age-related macular degeneration.Am J Ophthalmol. 2015;160:739–48. Jia Y, Bailey ST, Wilson DJ, et al. Quantitative optical coherence tomography angiography of choroidal neovascularization in age-related macular degeneration. Ophthalmology. 2014;121:1435–44. Juneja R, Nagpal M, Mehrotra N, Khandelwal J. Correlation of OCT Angiography (OCTA) & Microperimetry (MP) features of CNVM. Presented as a free paper at: All India Ophthalmic Society Conference, Coimbatore, India, February 22, 2018; FP472. Eandi CM, Ciardella A, Parravano M, et al. Indocyanine green angiography and optical coherence tomography angiography of choroidal neovascularization in age-related macular degeneration. Invest Ophthalmol Vis Sci. 2017;58:3690–6. Coscas GJ, Lupidi M, Coscas F, et al. Optical coherence tomography angiography versus traditional multimodalimaging in assessing the activity of exudative age‐relatedmacular degeneration: A new diagnostic challenge.Retina. 2015;35:2219–28. de Carlo TE, Bonini Filho MA, Chin AT, et al. 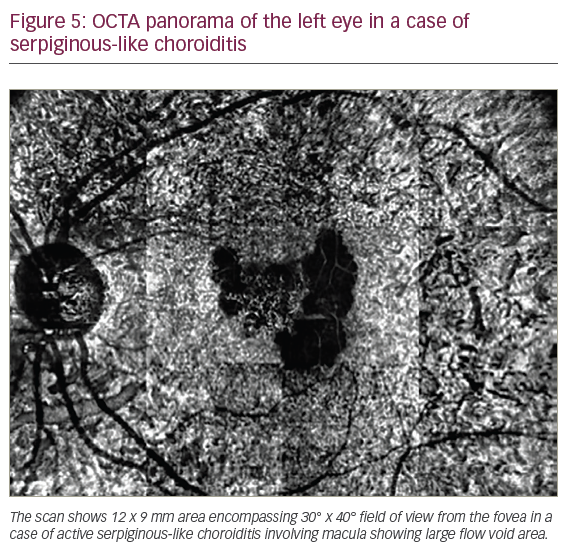 Spectral‐domain optical coherence tomography angiography of choroidal neovascularization. Ophthalmology. 2015;122:1228–38. Lumbroso B, Rispoli M, Savastano MC. Longitudinal optical coherence tomography – Angiography study of type 2 naive choroidal neovascularization early response after treatment. Retina. 2015;35:2242–51. Crawford CM, Igboeli O. A review of the inflammatory chorioretinopathies: the white dot syndromes. ISRN Inflamm. 2013;2013:783190. Bansal R, Kulkarni P, Gupta A, et al. 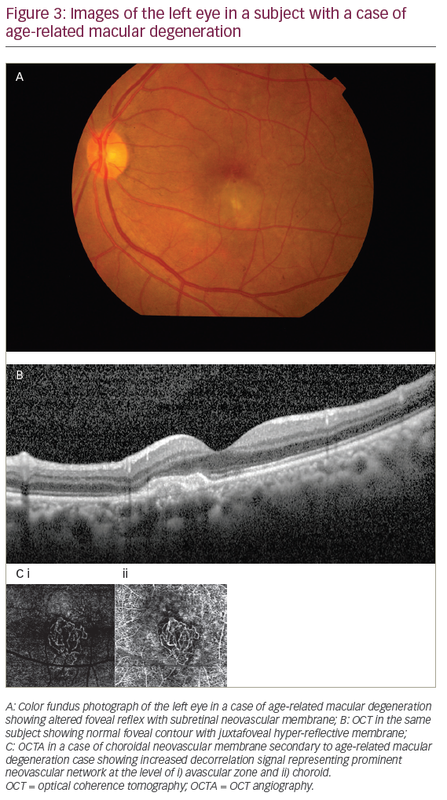 High-resolution spectral domain optical coherence tomography and fundus autofluorescence correlation in tubercular serpiginous like choroiditis. J Ophthalmic Inflamm Infect. 2011;1:157–63. Yee HY, Keane PA, Ho SL, Agrawal R. Optical coherence tomography angiography of choroidal neovascularization associated with tuberculous serpiginous-like choroiditis.Ocul Immunol Inflamm. 2016;24:699–701. Mandadi SK, Agarwal A, Aggarwal K, et al. for OCTA Study Group. 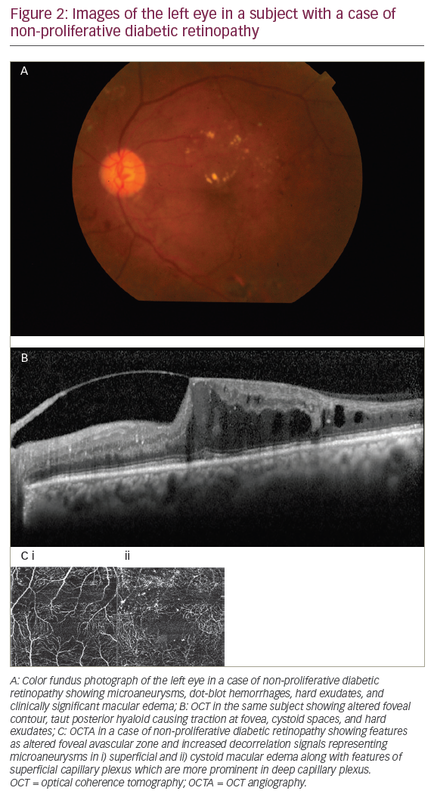 Novel findings on optical coherence tomography angiographyin patients with tubercular serpiginous-like choroiditis.Retina. 2017;37:1647–59. Juneja R, Nagpal M, Mehrotra N. Correlation of Panoramic Optical Coherence Tomography Angiography characteristics of Active & Healing Serpiginous like Choroiditis with Indocyanine green angiography. Presented at: Asia Pacific Vitreo Retina Society Conference, Kuala Lumpur Convention Centre, Malaysia, December, 8–10, 2017. Poster EX1-093. MacDonald D. The ABCs of RVO: A review of retinal venous occlusion. Clin Exp Optom. 2014;97:311–23. Kang JW, Yoo R, Jo YH, Kim HC. Correlation of microvascular structures on optical coherence tomography angiography with visual acuity in retinal vein occlusion. Retina. 2017;37:1700–9. Budzinskaya MV, Shelankova AV, Mikhaylova MA, et al. Analysis of changes in central macular thickness based on optical coherence tomography angiography findings in retinal vein occlusion.Vestn Oftalmol. 2016;132:15–22. Kanakis MG, Giannouli K, Andreanos K, et al. Capillary nonperfusion and photoreceptor loss in branch retinal vein occlusion: spatial correlation and morphologic characteristics. Retina. 2017;37:1710–22. Iida Y, Muraoka Y, Ooto S, et al. Morphologic and functional retinal vessel changes in branch retinal vein occlusion: an optical coherence tomography angiography study. Am J Ophthalmol. 2017;182:168–79.